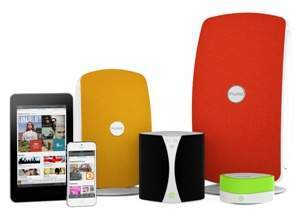 SAN FRANCISCO, CA--(Marketwired - Dec 4, 2013) - The Pure Connect app for iOS or Android has been updated to allow users to wirelessly stream music stored on their computer to multiple Jongo speakers. This update enables users to enjoy their entire digital music collection through the Jongo multiroom music system via the Pure Connect app regardless of whether it's stored on their smartphone, tablet, PC, Mac or network attached storage device. "Consumption of digital music is reaching a tipping point with more music fans consuming audio via digital files than physical formats," said Noam Meppen, Pure's U.S. director of sales. "They increasingly want to be able to access their digital music collection wirelessly regardless of where it's stored. This update delivers that flexibility and will enable users to enjoy their music collection throughout their homes at the touch of a button." Pure Connect transforms smartphones and tablets into a remote control for the Jongo multiroom speaker system allowing users to listen to beautifully synchronized audio throughout the home. It uniquely offers users free access to live and on-demand radio content; as well as their own music collection and a subscription music service enabling millions of tracks to be streamed throughout their home with the option to listen offline. Jongo speakers benefit from Pure's excellence in audio, streaming and synchronization technology making Jongo one of the most advanced multiroom speaker systems available. Jongo consists of the Jongo A2 wireless hi-fi adapter; Jongo S3 rechargeable, portable wireless speaker; Jongo T2 and T6 wireless multiroom speakers. Currently, one of the only systems to offer both wireless multiroom and casual Bluetooth streaming, users can simply add extra Jongo products on the same Wi-Fi network to build their multiroom system. Pure Jongo is available in approximately 2,800 Walmart stores and on Walmart.com, in addition to more than 300 Best Buy locations and can be ordered now online at Amazon.com. As a special holiday promotion, December 8th - 28th, select Jongo retailers will be discounting the Jongo T6 by $50 -- either coming directly off the $299 shelf price, or reflected in the provision of a $50 store gift card. Pure is a world leading consumer electronics manufacturer and leads the way in music streaming and radio systems and entertainment cloud services with the Pure Connect portal www.pureconnect.com. Designed and engineered in the UK, all of Pure's products are manufactured with the environment in mind and at ethically audited facilities. Pure is a division of Imagination Technologies Group plc. See www.pure.com. The Pure Connect music service just got even better, with support for the streaming of the user's personal digital music collection stored on their smartphone, tablet, PC, Mac or NAS device.